Upon completion, your new password will be emailed to you. Please check your Inbox for the email with your new password. You will be returned to the homepage once the email has been sent. Having a conversation with a coach who might offer you a college scholarship can be intimidating. I get that, but if you aren’t willing to talk with the coaches, your chances for a scholarship drop dramatically. I understand that you don’t want to say the wrong thing, or ask the wrong question, but you need as much information as you can get about each college program you’re considering. Deciding on which college is the right one for you isn’t a four-year decision, it’s a forty-year decision. The best advice I can give you on talking with a college coach is to relax and simply be yourself. College coaches are people, just like you and me. They really want to get to know you as an athlete, a student and a person. Remember, they plan to spend the next four years coaching you and they have to make an informed decision about every recruit. 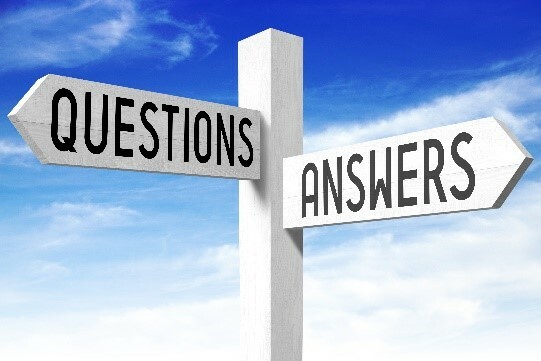 Believe it or not, it is perfectly fine to ask a coach questions and you should expect honest answers. Here’s some help with the kind of questions you can (and should) ask, a few questions you shouldn’t ask and my comments on the potential answers. Are you serious about playing your sport in college? Asking a college coach about the recruiting process at his or her school is perfectly fine and in most instances is encouraged. If you understand what information the coaches need from you, how you’ll be evaluated and where you stand in the process, your recruiting journey will be much easier. Here are a few questions you might ask about the recruiting process. If you have others, that’s great! What do I need to do to be evaluated by your staff? Pay attention to the answer to this question. If they don’t evaluate you, you don’t stand a chance. How is recruiting going for my graduation class? While a college coach probably won’t be specific, you may be able to find out how many players they need, where you stand and if your position is already being filled. What will it take for me to earn a scholarship in your program? This is a great question to ask for two reasons. First, it shows you’re really interested in their program and second, the answer is valuable information. When does your coaching contract end? Do you see yourself here for another four years? If this coach is a big reason why you’re considering this school, you need to make sure he/she plans to be there for a while. At this time, do you know where I fit on your recruiting board? Don’t ask this one in your first conversation. Wait until you’ve established a relationship with the coach and he/she will most likely will be honest with you. Asking questions about the academic aspects of being a student-athlete can only be viewed in a positive light. It shows maturity and it demonstrates the fact that you realize you’re going to college to get an education, in addition to playing your sport. Since academics is the #1 tiebreaker between two athletes of similar abilities, asking questions about the academic situation at a school might actually give you an advantage over your competition. Here are a few questions to ask a college coach about the academic situation at his or her program. Does the coaching staff stress the importance of academics? All coaches understand the importance of academics, but how this question is answered will give you some insight on how important it is to each coach you talk with. What kind of academic support is available? Most colleges have academic counselors for athletes and many schools offer tutors for their players. Will my major be a problem with the athletic schedule? If you’ve decided on a major, the answer to this question might be an important factor in your college decision. What types of academic scholarships are available? Academic scholarships can really help athletes in the equivalency sports. Most coaching staffs are intimately familiar with the academic scholarships that might be available for qualified student-athletes. Perhaps the most important questions you can ask are questions about what it’s like to be a member of the team. After all, you’ll be spending a significant portion of your college life at practice, team meetings and games. You can certainly ask the coaches these questions, but you might also want to ask some of the current players for their perspective. Here are a few questions you might consider on this topic. What is a typical day like for a player during the season? This is one of the best questions you can ask to decide if this program is right for you. If you have a chance, ask a current player this question also. How would you describe the team chemistry? Team chemistry is an important factor in your college experience and a team with good chemistry is generally successful. What are the off-season expectations for players? In college, training goes on all year long (including summers) and some coaches require the team to stay on campus during breaks. What are the current strengths and weaknesses of the team? This question should help you decide whether or not this program is a good fit for you. If your skills address a current weakness, you might be playing right away. How much scholarship money will you give me? Timing is everything. For example, if you were in a job interview, you wouldn’t walk into the first meeting and ask “So, how much money will I be making here?”. When it’s time to talk scholarship dollars, the coach will bring up the topic. Why do you need to talk to my current coach?? If you’re worried about a college coach talking to your current coach, you will have a difficult recruiting process no matter how good an athlete you are. Why haven’t you sent me the offer yet? I’m not sure why athletes ask this question, but they do. If a coach hasn’t sent an offer yet, they either aren’t ready to send it, or they aren’t going to send it. You really need to be prepared before you talk with a college coach. The above questions are just some ideas to consider. Think about what is important to you and make a list of questions to ask. Make sure the questions will help you make the right decision on which college is the right college for you.